Hearts say they have settled all outstanding debts to players resulting from administration - and done so months ahead of a typical timeframe. Administrator BDO was appointed in June 2013, with businesswoman Ann Budge completing her takeover this summer. Hearts have now paid off salaries due from the regime under Vladimir Romanov, including five players made redundant. "The process of clearing 'football debt' upon exiting administration can take up to two years," said Hearts. "Ann Budge and her team have dealt with the matter in a courteous and professional manner, which has led to these debts being settled in a short period of time." "But the club is delighted to have achieved this significant milestone within a six-month period." 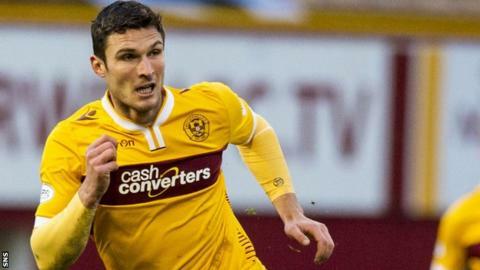 The players made redundant were striker John Sutton, now back with Motherwell, winger Andrew Driver, who last week moved from Houston Dynamo to DC United, defender Marius Zaliukas, now with Rangers, and two youth players. "Settling the football debt was viewed as a priority by the new owner and the club worked closely with the PFA Scotland to make it happen as quickly as possible and we appreciated their co-operation in acting as a liaison between us and their members," said Hearts in a website statement. The union's chief executive, Fraser Wishart, also welcomed the news. "We're delighted to hear our members have received all the outstanding monies owed to them," he said. "Hearts have been great to deal with and settled these debts very quickly. Hearts this month also became the first football club in Scotland to become an official living-wage employer. "As a union, we have fought hard to ensure that monies owed to our members are viewed in the same way as monies owed to other clubs, i.e. what is commonly known as 'football debt'," added Wishart. "There is no provision within the standard player's contract to allow for unilateral termination by a club using the administration process and therefore terminating a player's contract in this way is viewed as an ordinary wrongful breach of contract," added Wishart. "In recent administrations, our members at Dundee and Dunfermline have also had monies owed to them paid as part of the CVA and purchase agreement."